Order within the next... 0 hours, 19 minutes, 35 seconds ...for dispatch today! Best displayed on a 17" or 18" (43 - 46 cm) board. 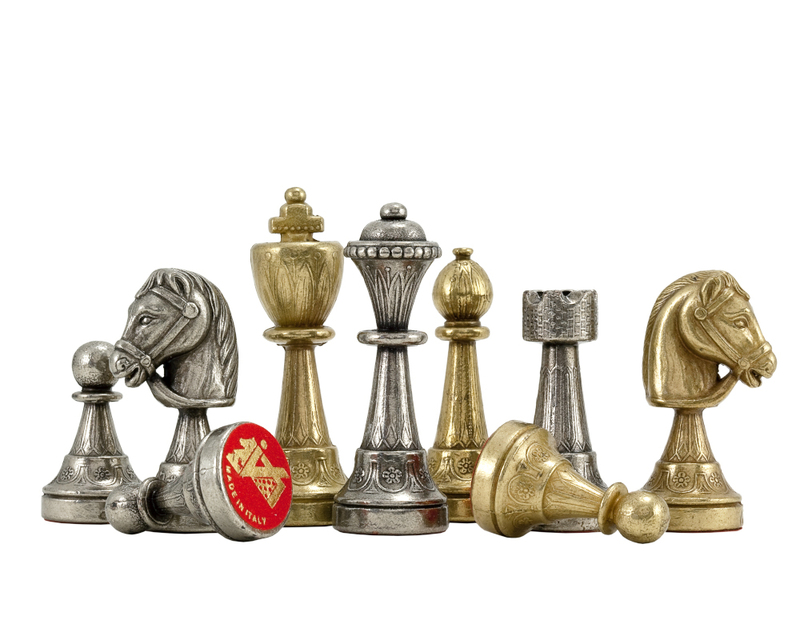 The Finnesburg Series Chessmen are a uniquely artisanal version of the traditional Staunton chess pieces. 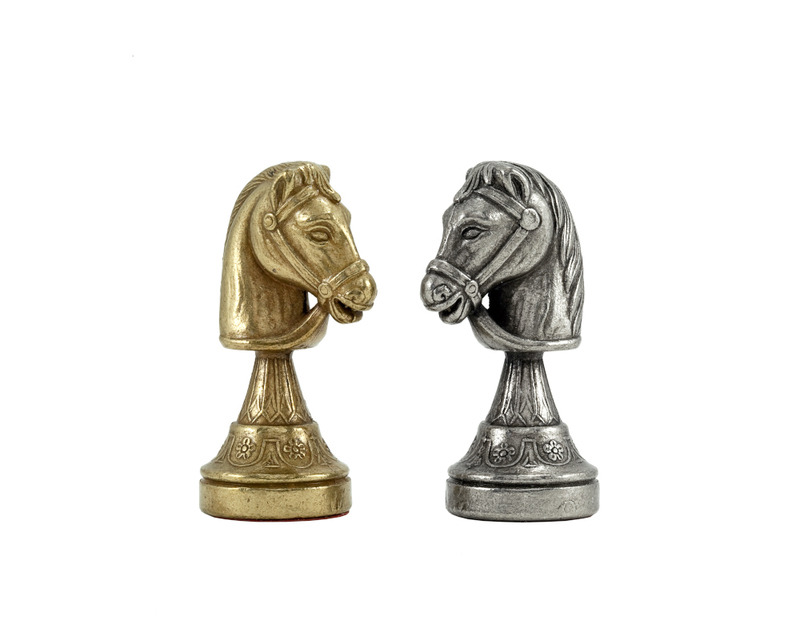 Delicately shaped by Italian craftsmen, these solid brass and nickel-plated chessmen are ideal for decorative or practical use. 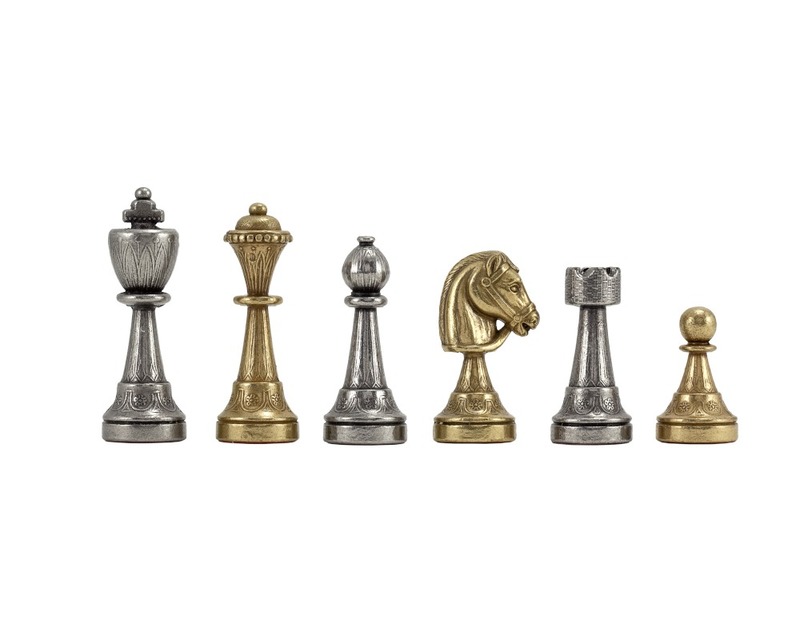 The pawns, perhaps, offer the best example of the attention to detail honored within this set, boasting as they do painstaking touches of craftsmanship. 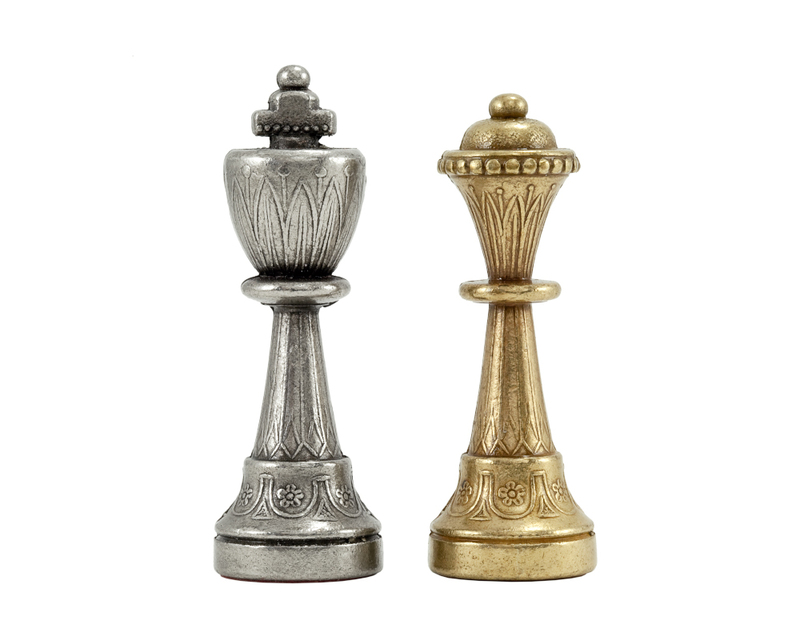 Every other piece on the board enjoys the same level of attention although it this commitment to a sometimes overlooked, yet undeniably important piece that defines the uncompromising quality of the Finnesburg Series Chessmen. 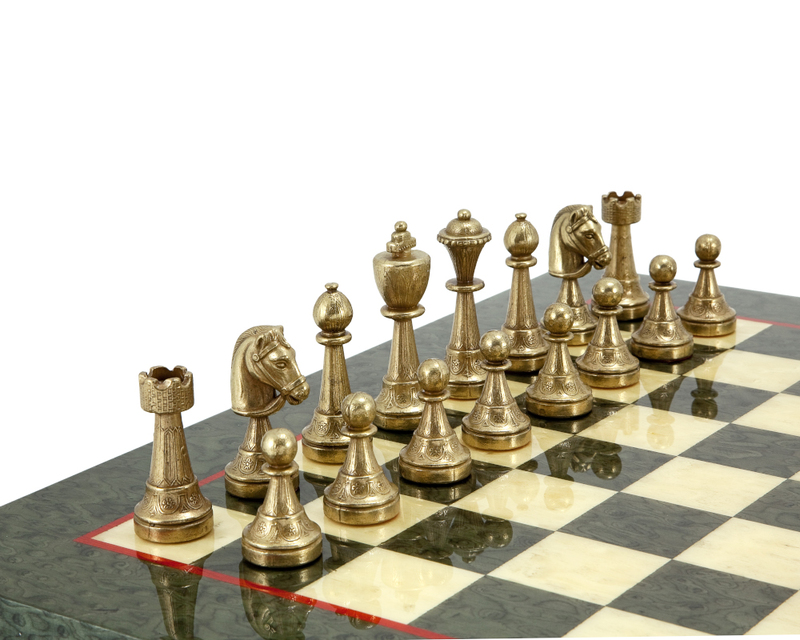 Gloss boards highlight the close detail and expert finish of the Finnesburg Series, while a playing surface of around 17 to 18 inches comes recommended by the Regency Chess team. "Quality - just sheer quality. 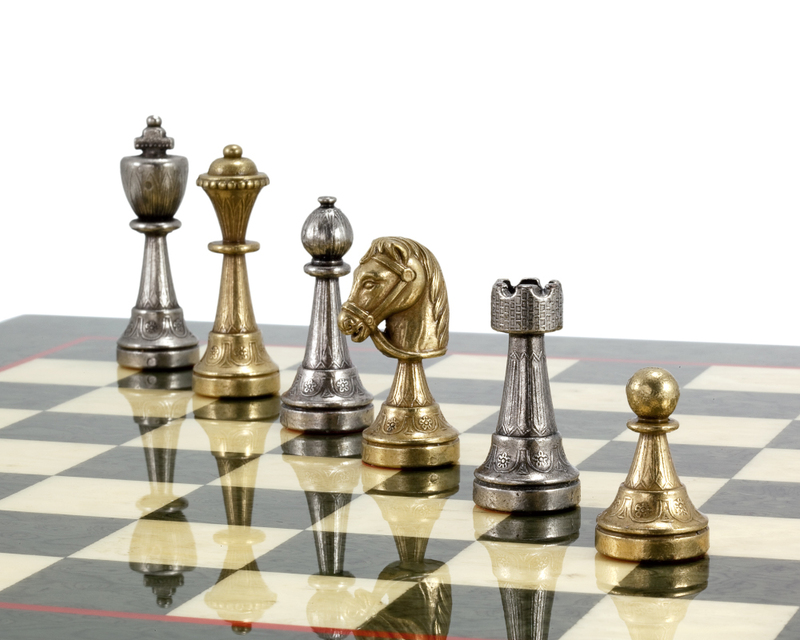 I had previously purchased another Italfama-made metal set (The Verona) series as a gift. 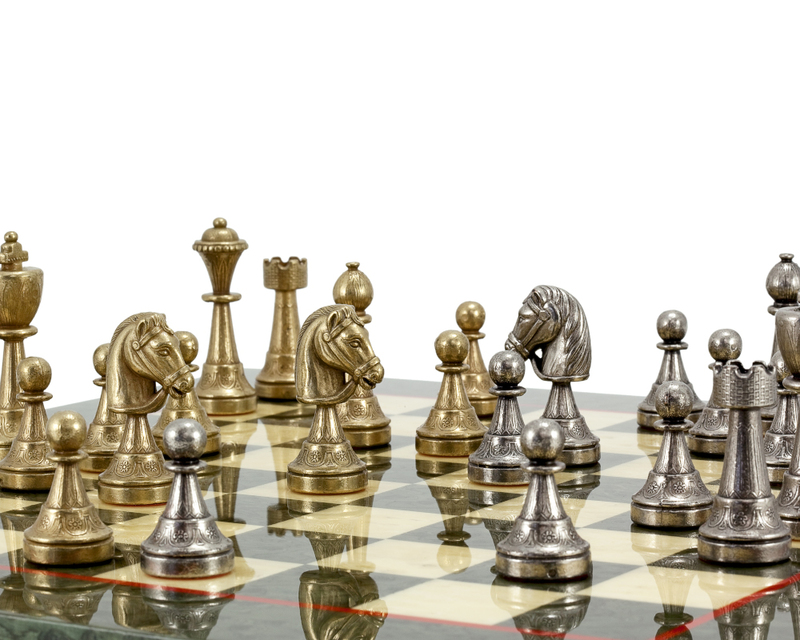 The Finnesburg has a similar gorgeous knight and I particularly like the queen and king which are easy to distinguish in a fast game. Delighted with them. Combined with a Sheesham board which sets it all off brilliantly. Many thanks."